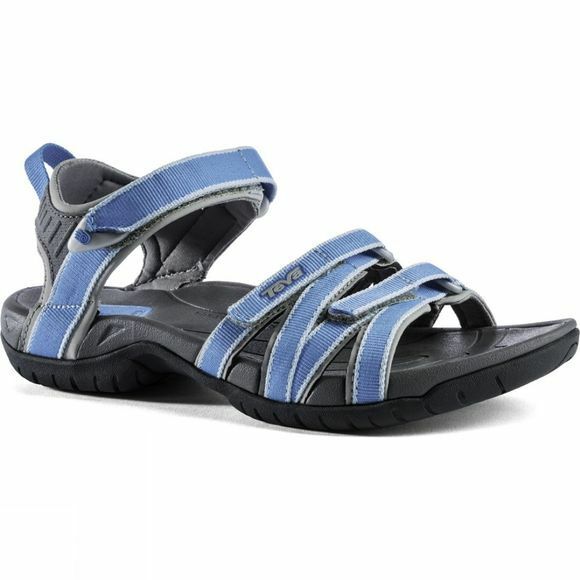 The Tirra Sandal was designed specifically for women's feet to provide unmatched comfort and performance in the water. With its feminine strap configuration and multiple adjustment options for a secure fit, it can tackle any obstacle with ladylike grace. The webbing straps can be adjusted in three locations using hook and loop fasteners so you are bound to quickly find the perfect fit and they are treated with a Microban antimicrobial treatment that prevents odours from building. The sole is manufactured from Teva's Spider Original rubber which gives you excellent traction even on land and in water, while the nylon shank running through it will keep your foot stable on uneven ground.